Do you dream of owing a home in Italy? Well, dream or for real, let me introduce you to Gate-Away, a group who specialize in finding the perfect home for you in Italy. I feel confident in their expertise to help my followers understand the buying process costs when seeking that dream home in Italy. 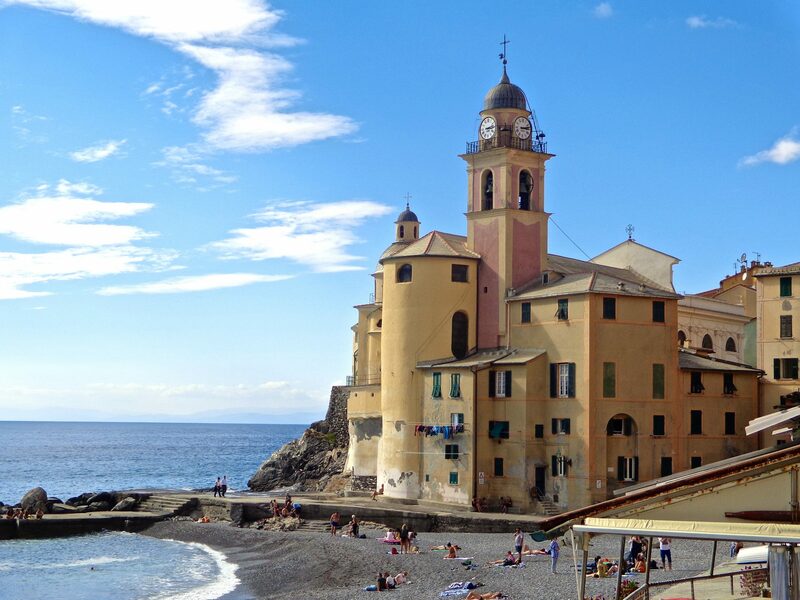 Although Italy operates differently than we do here in the U.S. when it comes to purchasing property, you will be surprised at how achievable it really is. It’s hard to decide what we love most about Italy. Is it food, big bowls of pasta and warming Chianti? The scenery – rolling hills, vineyards, the bustle of cities, the warm waters of the Mediterranean? Is it the history, the Roman Empire, the flamboyance of Venice? You may be surprised to find that there has never been a better time to buy. The economic crisis means that house prices have decreased greatly over the past few years, so you can find beautiful properties at rock bottom prices, with mortgage rates also at an all time low. Low prices and cheap borrowing make this the perfect time to jump in. However as any savvy buyer knows jumping is good as long as you’ve done your research first and here at Gate-Away, as experts in buying a home in Italy, we have compiled a list of tips to make sure you do it right! The first thing is to know what you want. What is specific to your needs? By compiling a list of must-haves and would-likes you can narrow down your search criteria and not waste your time searching through piles of unsuitable properties. What sort of house are you looking for? Is it for you and your family? For holidays or all year round? Did you want to run a business from the property, maybe convert it into a holiday rental? Draw up your wish list and keep a firm eye on those questions. A cliché for a reason. Narrow down your search by deciding what areas are best suited to you. Do you want easy access to the Alps or will you be a sun-seeker in the South? Are you a country mouse looking for somewhere to escape, or do you need the hustle and bustle of a city? Use the internet to look at all the places that interest you and then when you think you’ve found your dream spot, go and visit it. By being there in person you can ensure that there are no nasty surprises in store. Who knows, you may come across your dream house whilst meandering around the location you’ve chosen. As with most places, the prices of property vary wildly from area to area. Your budget may buy a beautiful farmhouse in the country but only a bijou apartment in Rome. Once you’ve decided on your location, check property prices in the area, things can change from village to village and the better informed you are, the better decision you’ll make. This is vital. As with most countries there will be taxes added to the property price. In Italy you will have to pay registry tax, stamp duty and cadastral tax to purchase your “casa”. The stamp duty will be 2% (if it’s your second home it rises to 9%). If you buy from a company this changes, you will have to pay VAT at 4% (10% if it’s a second home) and the other levies become €200 each rather than €50 each, so check what kind of sale it is, check taxes and do the maths! Buying a house can be stressful and especially so if not in your first language. The one sure way to reduce stress is to make sure you employ professionals to help you. Estate agents and lawyers are all held to account by professional codes of conduct and have reputations to maintain. They will have experience in their field and the contacts that go with that. Ask around in the community, word of mouth is an invaluable tool. Professionals make this process run as smoothly as possible. For more information visit www.gate-away.com. Nice info here…good to know upon buying properties in Italy! Many people like you experience the same problems, especially those who don’t speak Italian at all. So I definitely agree with you, seek professional help is essential. Thank you for your input. I’ve also heard from others who have bought a house in Italy and expressed the same frustrations. If I was buying one, I would definitely go with this agency. Anyone who takes the pain out of it is a blessing! i’ve always wanted to purchase something there. We’ll see one day! We were lucky and had no problems at all. The taxes differ if you will become a resident within 10 years as we will. As here, having a great realtor is essential. They will outline all taxes and fees up front. We gad no surprises at closing. At closing you must have an interpreter if you don’t speak the language well. Property taxes are cheaper than most places in the states. Ours which include police and trash are $500 per year. The south is cheaper than the north and has better beaches. Tuscany is over bought by tourist and is very expensive. From what I learned this last time while in Italy, people will need all the help they can get to buy as it is not so easy. No, I have not. Of course I’ve never done it.